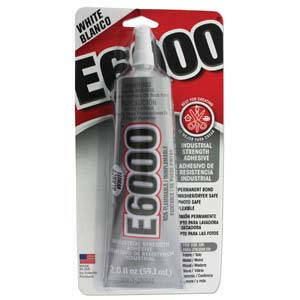 E6000 White Jewelry & Bead Glue. 2oz tube. Characteristics: E6000 Jewelry & Bead is perfect for securing knots and permanently attaching most any type of stone, gem, crystal or bead to jewelry findings and base metal, silver, copper and gold jewelry pieces. Cures clear with maximum flexibility and is waterproof! Precision applications are now simple for many other non-craft projects too! Packing was great! High Quality! Delighted with my purchase!